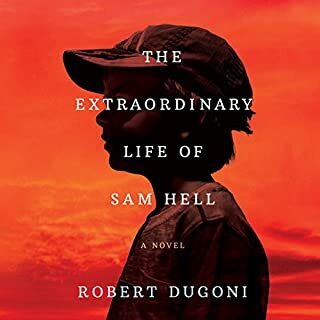 I love Robert Dugoni, I've read quite a few of his books so when I saw this it was a no brainer! I was pleasantly surprised at the subject matter, he took his writing to a whole completely different level!!! What a great story and he performed it beautifully! I cried more than once, his characters are extraordinary! I think everyone will find something that they can personally relate to, a must read! I want to go back to the beginning and start again! Transformation is a process we all will go through. It is sometimes long, and often painful. But the truth is, what we think is key during a time of change. A transformed life is preceded by a transformed mind. How we think about our journey may make the difference between 11 days or 40 years in the wilderness. Just ask the children of Israel. 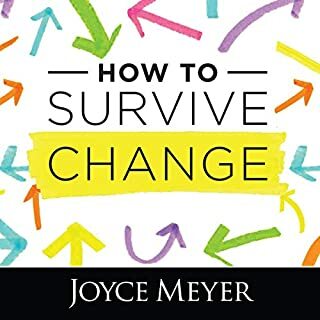 In this four-part series, Joyce uses examples from her own life, as well as some of life's ordinary, everyday tasks to offer hope and encouragement for your journey. I love listening to Joyce's voice! Fear not, what a message in only the way Joyce can deliver it! I recently asked God to do a Work in me and out of nowhere I'm hearing God speak through Joyce in a way that is practical, hilarious and really shows me who God, Jesus and the Holy Spirit are and how powerful they make me. God loves you!!! Bottom line, no matter what!!! Preach it Sister Joyce!!! And God Bless you!!! 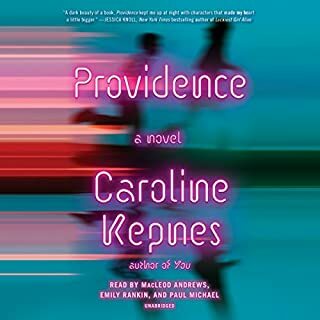 So Caroline is my new favorite author, I loved YOU and HIDDEN BODIES. It felt like forever waiting for her next book. I am a constant listener and I was thrilled when Caroline put her stamp on this one too. Like Stephen King, you know you're listening to Kepnes! She is unique and so far her performer's are beyond good. This story is so many different things, it speaks to a lot of emotions. Mostly, I have never listened to anything like it! And for me that is so refreshing, I love not knowing what is coming next...I believe that Kepnes is going to be very famous! I can't wait for the best book. Awesome, funny, heartbreaking, A different level of love between mom and son! I usually don't write reviews because I am not eloquent, but from my heart I say read this no matter who you are or what genres you like. This is transforming, literally I am different now!!! 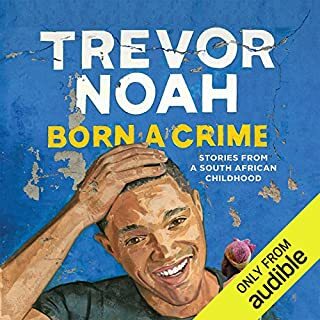 I have wanted to learn about apartheid for a long time, Trevor breaks this down in an understandable way which left me with my jaw dropped and crying and in utter disbelief! Trevor performs this so well, I couldn't put it down and I will listen again it's that good. Patricia is his mom, I have read so many books about women warriors that have changed me and helped me to become who I am, Maya Angelou, pearl S Buck, and so many more. Patricia is in a league of her own, her faith is unparalleled! I love and thank her, only she could have raised a beautiful soul like Trevor Noah!!! A must read! 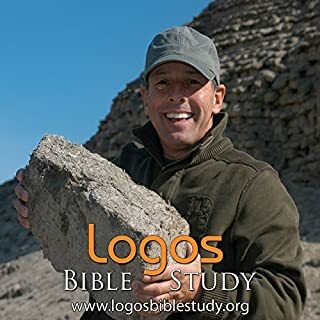 Exodus and Leviticus span a period of 13 months in the biblical narrative; Numbers covers the remaining 39 years of the Exodus. In Numbers, Moses counts the people and organizes them by tribe, clan and family, completing a journey that spans a generation. 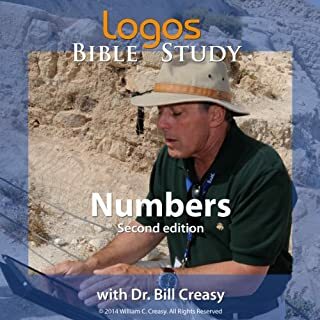 Far from tracking aimless wanderings in the wilderness, Numbers tells the incredible story of survival against all odds, as God grooms a new generation to invade and conquer the Promised Land. The first book I listened to by him was "Paul From Sinner to Saint", it was so good I listened to it twice! I then started Genesis and just finished Numbers...what a feeling!!! Dr. Creasy is not only a great teacher but he is so much fun. He teaches about the trials and tribulations of Moses and the Isrealites and he also points out humor that I would have missed. I have such love for certain people, that when they die I am so sad! What a great story teller, you can really feel his heart and his Love for God!!! I also feel honored to listen to Dr. Creasy because of his credentials and the wonderful way he lives the life God gave him. I just love Dr. Bill, I studied along the first time and then listened to it again without my Bible. The book of Genesis is so beautiful, sad, inspiring, funny. Dr. Bill is great at teaching but also at incorporating his own stories to show how alike we still are after all these years. Okay, onto Exodus, can't wait, I have to say that at 57 years old, I finally really understand and am so blessed!!! This is inspired!!! I always feel that I fall short when I pray, that my message of love and gratitude doesn't come through as fervently as I mean it. Well this set it all to rights for me. 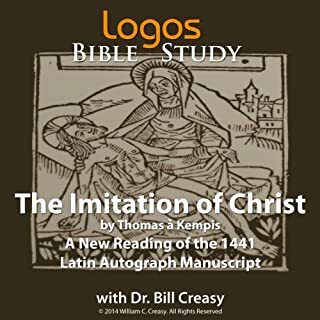 I will listen to this all the time, knowing that it was written in the 1400's makes it even more special, we as Christians are striving for the same thing!!! Thank you God for this inspired book of love for our Lord and savior Jesus Christ!!!!! I've looked at this book so many times and finally I listened to sample and loved the narrator and what I heard was hilarious, different and pulled me in so fast, I bought the book before the sample was even over!!! Yes I have read more self help books than I can count, spent years in therapy. I thought this book can't be for me at 57 years old!!! I was wrong and I'm not ashamed to write it or say it or feel it!!! 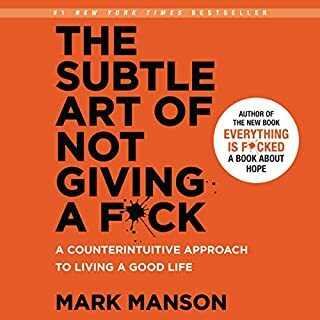 In a little over 5 hours I have learned that I give way to many fucks about way too many things. Read it and be happy, for real!!! Who knew Alec could write? I finished this audio book three days ago and still can't get it out of my head. No holds barred, Alec is one of my absolute favorite actors. Now he is one of my favorite people, his honesty is so refreshing and heart wrenching. As I write this I am listening to it again! He is New York to the bone, he also has command of our beautiful language and his performance keeps your rapt attention. This story that he performs in a little over eight hours left me wanting more and he confesses that he does have so much more to say, I impatiently wait for the next book! I fell in love with Alec while listening to this, when he loves, he loves all the way and the opposite is true as well! I wish I could hug him, he just opened the door and let me in!!! 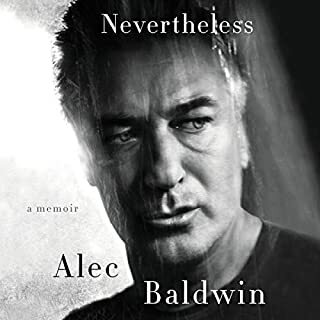 Wow thank you beautiful Alec Baldwin!!! Saul of Tarsus was one of the most brilliant young men of his generation. 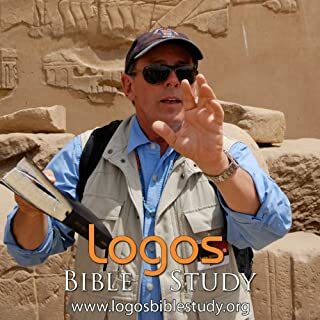 Growing up in a wealthy family, receiving a world-class education, and being groomed for leadership at the highest level of Judaism, Saul became the great persecutor of the emerging Church shortly after Jesus' death, burial, and resurrection. On the road to Damascus to round up Christians and have them brought back to Jerusalem for punishment, Saul encounters the risen and glorified Christ - and his life turns upside down. I don't even know how I found this....but it was wonderful!!! Bill is so knowledgeable and funny! His teachings are a mixture of history and personal stories. He has a great way of explaining by bringing the stories into the present. I feel a kinship to Saint Paul now that I would not have had if I didn't listen to this. Also, by going along with him with my bible gave me the most awesome feeling of fellowship with Jesus...Paul is amazing and Dr. Bill was born to spread the good news. I thank you Dr. Bill!!! !